I went through the rest of the cards in the shoebox and made the following tweaks. 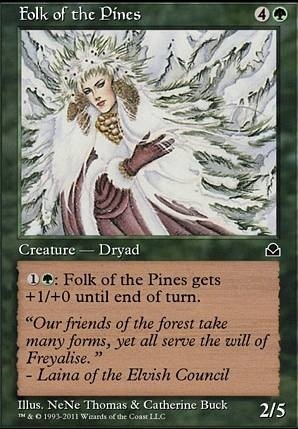 With the few cards I have, it looks like I can lead toward elf tribal. I should probably post this as a new deck because it's very much different.